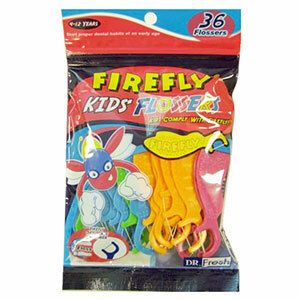 Kids will get a kick out of Firefly Flossers that actually change color with body heat! Proper flossing should be encouraged at a young age. Flossers made in the shape of cool Firefly characters make even flossing fun. Firefly Kids Flossers enable kids to floss easily between back molars and maintain od oral health. We’d put flashing lights on these too if we could.